Matt travels on business a lot. He asked the Answer Line forum for suggestions on backing up his data while on the road. 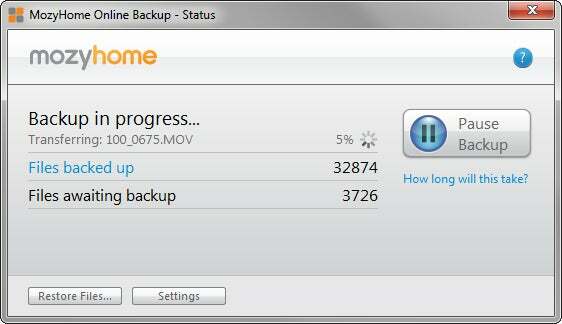 Ask yourself is how many megabytes you must back up while traveling. Assuming that everything else is backed up at home, you really only have to worry about the files that you create, receive, or change while on the road. For most people, that's unlikely to be more than a few gigabytes-if that much. Of course, there are exceptions. Some people create and alter huge files while traveling. And others travel all the time, meaning they have to do all their backups on the road. Issues like how much you'll have to backup and how often you return to your home base will inform your backup decision. If your on-the-road backup needs are modest, consider handling them over the Internet. Online backup relieves you of the need to carry--and possibly lose--your backup media. But it costs more in the long run, and is too slow for really large backups. And it's especially slow on the road, when you're at the mercy of hotel and airport WiFi, and often go hours without an Internet connection. If you use your laptop at home as well as on the road, use an online backup service like Mozy or Carbonite. But set it up and do the initial backup at home, preferably with a fast Ethernet connection. Expect it to take days, or even weeks do that that initial backup (you can continue to work during that time). Subsequent backups will go much faster. If you use a desktop computer at home, consider a cloud-based syncing program such as Dropbox. When you save files, they're automatically loaded into the cloud. When you get home and boot your desktop, Dropbox downloads the files. There are other online possibilities you might consider. Depending on your working conditions and budget, you might use a company virtual private network (VPN) to send the files to an in-office server. 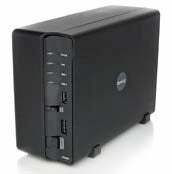 Or you can set up Network-Attached Storage (NAS) at home and backup to that. But before you buy a NAS device, make sure it supports remote access. If you decide against backing up online, you'll need to take extra storage, like an external hard drive, with you on the road. But be very careful about where you store the storage. Do not keep it in your laptop's carrying case. If that carrying case gets lost or stolen, you will have lost your PC and your backup. That's why you should consider a flash drive rather than a hard drive if your backup can fit on one. You can easily carry a flash drive in your pocket. My thanks to crazy4laptops and A41202813 for their contributions to the original forum discussion. Contributing Editor Lincoln Spector writes about technology and cinema. Email your tech questions to him at answer@pcworld.com , or post them to a community of helpful folks on the PCW Answer Line forum . Follow Lincoln on Twitter .